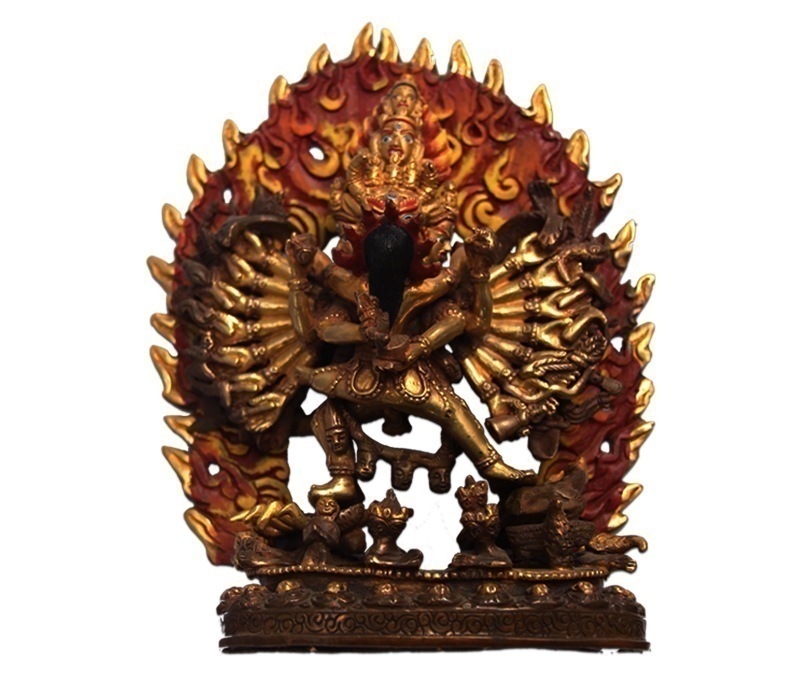 Designed of copper and partly gold-plated, this artistic metallic show piece features the demigod Megaa Sambaadth with its many hands spread out on both the sides. 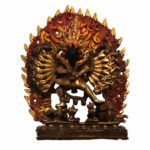 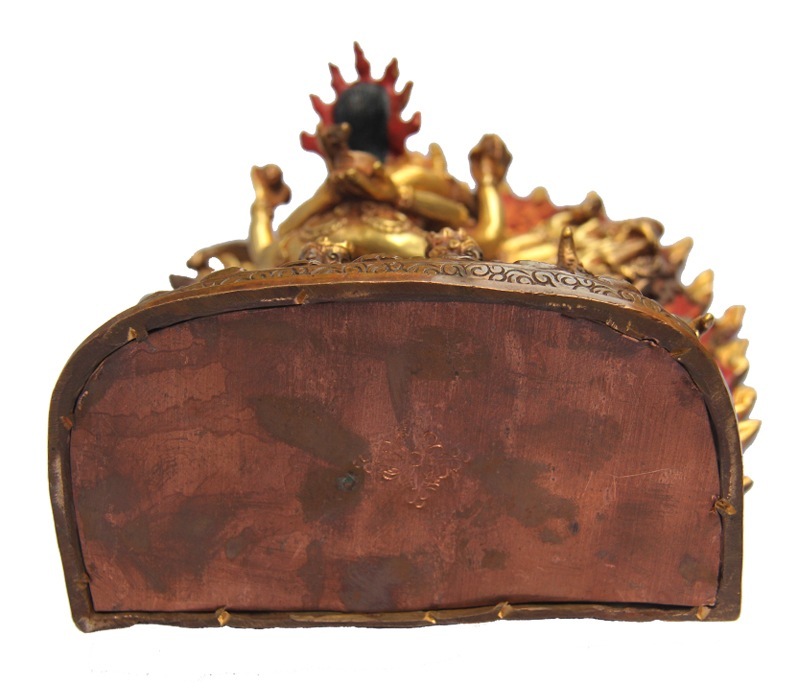 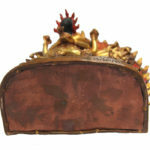 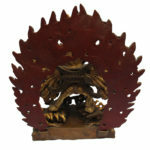 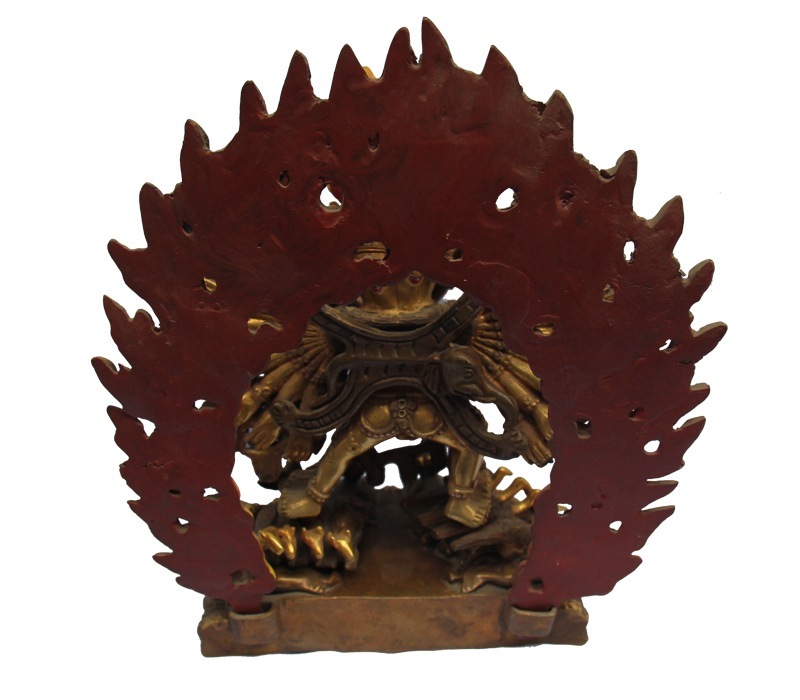 Weighing 5 KG, the item showcases embedded as well as jutting out golden flames all over in the background which in fact is the most outstanding feature of this craft piece. 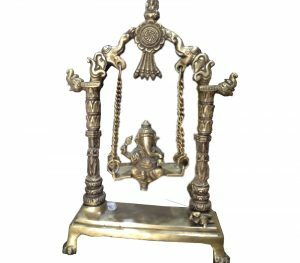 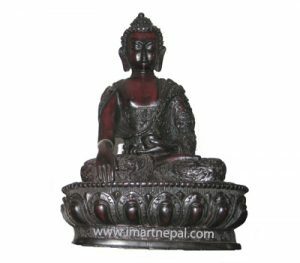 The antique looking craft piece stands on a metallic copper base with fine designs on the same. 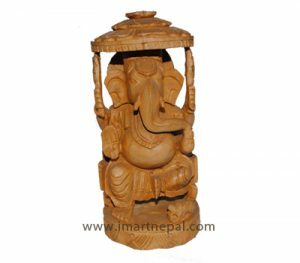 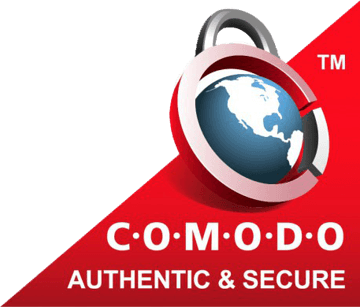 With its aggressive patterns, the item is sure to be the most noticeable thing in the room and is ideal for buying or gifting as a household display.